Finding this place again was fate. I first ate tacos and drank strawberry daiquiris here a few years ago on a trip I took with my work colleagues, and it was my mission to find it again in January when I returned to Isla Mujeres. I had no idea how I was going to find it – my sense of direction is useless at the best of times, and I’d paid absolutely no attention to street or restaurant signs the first time around. We arrived on the island and took the same route to walk to our hotel as I took with the girls when we visited together – I recognised the Senor Frogs shop and pretty much ran towards it! The plan was to dump the bags, then look for this place; we didn’t need to – turns out it was on the same street as the hotel and we walked past it on the way!! I could not believe my luck! Anyway, we dumped the bags and turned around to head back for lunch. We proceeded to visit daily, for the incredible food, crazy happy hour deals that lasted all day long (2 pina coladas for under AUD$6.00? Yes, thanks! ), and the wonderful service. 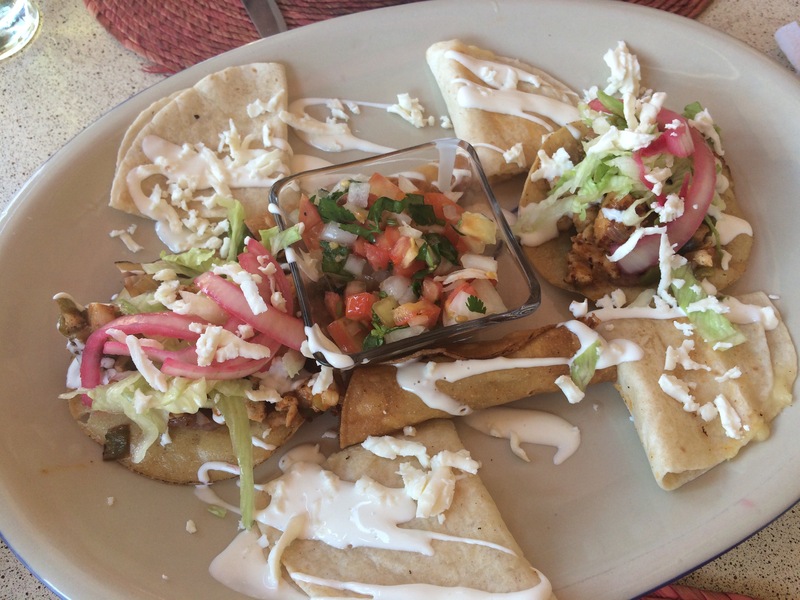 The tacos above may look familiar – I ordered the same thing for our first meal here as I ordered on my last visit, and they were every single bit as good as I remembered! Another visit saw us order the tasting plate (below) which did have a bit of everything on it! Their pico de gallo was magnificent, and a little bowl of it came with everything you ordered there.